The earth is running short on natural energy resources. The world’s population has been exhausting petroleum and coal indiscriminately, making the reality of running out of natural resources a real possibility. To counter this, serious efforts have been made to find and create alternative means and resources for energy production. Many new technologies and innovations have been created to meet this need, and manufacturers actively seek out ways to reduce energy consumption. Of these newer technologies that aid with energy consumption, ductless heat pump systems have emerged as an innovate way to reduce HVAC electric power consumption at home and in commercial buildings. Less electricity consumption not only leads to lower energy bills but also reduces the consumption of resources to produce energy. That saves more natural resources for future generations but also protects the Earth of from accumulating excess greenhouse gasses. 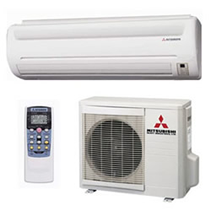 A ductless heat pump system is an extremely proficient zonal heating and cooling system that does not require air ducts like conventional electric furnaces, electric heaters, baseboard heaters, etc. A ductless heat pump system is designed in such a way that the entire machinery works almost soundlessly, providing maximum comfort at home and reducing electric bills. This is a comparatively new technology in the electric air heating and cooling industry, but its benefits far exceed its predecessors. Air conditioners have become ubiquitous in households. Electric baseboards or heaters are also common but are not perfect heating and cooling systems. However, ductless technology surpasses these systems and introduces a completely different experience for homeowners. The system is easy to install. The system does not need any complicated air ducting system like conventional air conditioners and heaters. As a result, the system can be installed without disturbing the original aesthetic of the room or house intact. Since installation is quick and unintrusive, costs of installation also reduces drastically. The system does not interfere with furniture or window placements in the room or house. Ductless heat pump systems maintain perfect temperature in each room as fixed by the operator. Special innovative internal technology helps the system to maintain even temperature throughout every part of the room. Ductless systems are known as super-quiet systems, creating just 19-20 dB sound. Ductless heat pump systems come with air purifying technology. That means, along with temperature control, the system keeps the internal environment of a room germ and dust free. The system enables the owner to cool or heat a room faster than normal through a special technology. Energy saving up to 30% is possible through this system. Ductless systems are available in different designs like wall mounted, ceiling concealed, floor mounted and cassette faced. All these designs look great and give a gorgeous look to the houses or rooms where these are established. Any huge energy consuming electric heating system, such as heaters, furnaces, etc., can be replaced with ductless systems. It is an ideal cost effective heating arrangement for smaller households. It is a good idea to install ductless systems in a newly manufactured home. Ductless systems can provide electric heating and cooling solutions quite efficiently and can be used instead of electric furnaces and conventional ACs. Installing a ductless system can be a great addition when remodeling a home or adding any extra room within an existing set-up. Ductless systems do not need air ducting work hence space can be saved and designing can be easier. Ductless heat pump systems are gaining rapid popularity among users around the country. Apart from domestic uses, ductless systems also can replace conventional heating and cooling systems in commercial and industrial sectors as well. In the future, this amazing heating and cooling technology could potentially replace all other conventional systems in popularity, saving precious electric energy and reducing public consumption of natural resources.